Photo archives—collections of photographs held by libraries or museums—have long been essential tools for research in the humanities. As digital technology evolves, will these archives become obsolete, evolve, or take new forms altogether? The archive’s changing role is among the topics of Photo Archives V: The Paradigm of Objectivity, a two-day symposium taking place at the Getty Center and the Huntington Library on February 25 and 26, 2016. Speakers will explore the relationships among photographic reproduction technologies, archival practices, and the concept of objectivity, with an interdisciplinary outlook and a focus on art history. In advance of the event I spoke to the symposium’s organizers: Tracey Schuster, head of permissions and photo archive services at the Getty Research Institute, and Anne Blecksmith, reader services librarian at the Huntington. Rebecca Peabody: In the 21st century, what exactly is a photo archive? Tracey Schuster: A photo archive is a collection of photographs created or brought together by an individual or institution. In the 21st century, a photo archive could be analog or digital, or both. The photographs in an archive might have been assembled for a specific purpose or for multiple uses, for an individual or a wider audience. For instance, a scholar may take photographs and assemble and preserve them online for future research purposes. This would be a private photo archive. 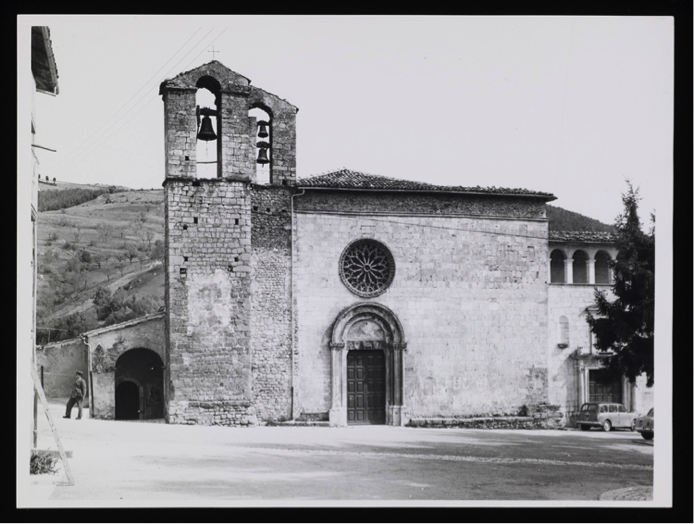 Institutions like the Getty Research Institute (GRI) also acquire photographs from many different sources and assemble them into collections that can be accessed by a qualified public audience. These are institutional photo archives. Anne Blecksmith: While some archives are collections of photographs assembled by scholars, as Tracey notes, photographers themselves built others. For example, an archive might be the creative or documentary record of one individual or firm such as a professional photographer’s archive; a scientific research archive; or a news agency. Many of these private or commercial archives have found their way into the collections of research institutions such as libraries and museums. One of the premises of the symposium is that photographs of artworks, while not objective, can still carry some of those connotations. Can you explain what this means? Tracey Schuster: Objectivity, in this context, refers to the idea that photographs of artworks are unbiased surrogates for the works themselves. The moment a work of art is reproduced in another medium, such as a photograph, it is already one step removed from the artwork itself and is therefore an interpretation of the original—which is to say, not objective. And of course, in the case of three-dimensional works such as architecture or sculpture, photography reinvents these works in two dimensions. Photographs can also be manipulated in the studio and are highly susceptible to deterioration over time through exposure to light or other environmental conditions; their mutability further erodes the possibility of objectivity. When a photograph is then digitized, further technical manipulation is possible, moving the image even farther away from the original object. Anne Blecksmith: And the notion of objectivity stretches even beyond facsimile reproduction to the supposed objectivity of the camera, the photographer, and even the viewer. Photography is inherently a product of its historical moment and cultural context; photographers choose, stage, and capture their images for many reasons, some of which they might not even be aware of. As Paul Conway, one of the symposium participants, noted in a recent article, the value of an image is often dependent on the emotions it elicits from the viewer. Joan Schwartz, another participant, described a photograph as a manifest of layered choices, relationships, and meanings with lessons for both visual literacy and archival practice. People have long studied the art of the past by looking at reproductions of original artworks. How has this practice left its mark on art history? Tracey Schuster: Photographs, and earlier reproduction techniques such as prints and drawings, were often the only way a scholar could study art objects and architecture not local to them. 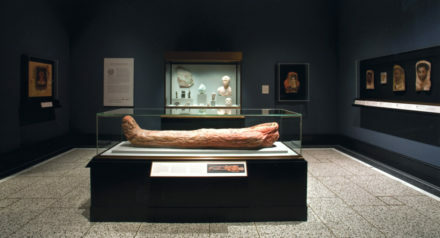 Scholars considered photographs to be faithful reproductions of the original objects. The photographs were widely distributed by the photographic firms that produced them. 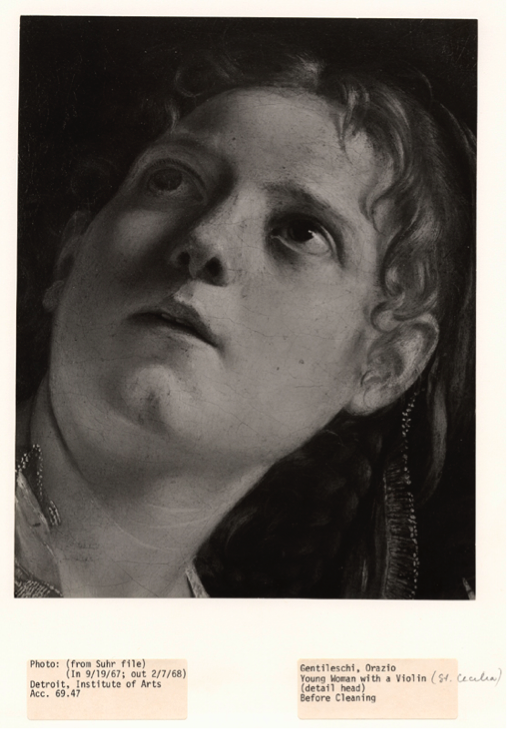 As scholars continued to use these reproductions to inform their writing and teaching about art history, they reinforced the false impression that photography offered an unbiased surrogate for the original object. The objectivity of these reproductions wasn’t challenged until scholars such as Heinrich Wölfllin and Erwin Panofsky began to write about them in the early 1900s. But in the meantime, the idea of photographic objectivity had found a wide public audience. This has deeply affected the way we understand, see, describe, teach, and write about art to this day. You point out in the symposium description that archives are “far from neutral guardians of memory.” What do you mean by this? Tracey Schuster: The process of archiving can’t be considered a neutral activity. It reflects the values and priorities of each institution—values and priorities that are, necessarily, subjective and subject to change. 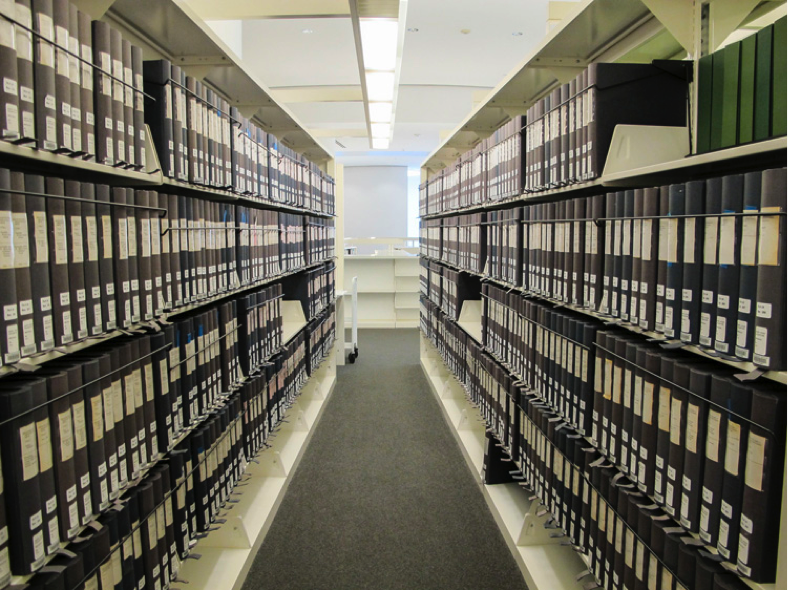 An archive and its archivists, cataloguers, and other staff impose the various physical and intellectual standards and practices of archival science on material that enters the archive. For example, today best practices favor maintaining the original order of the materials. But traditional art history photo archives predate some of these commonly accepted best practices. Traditional archives have also sometimes prioritized other outcomes over the materials’ original order—for example, creating an encyclopedic resource for art history scholars who use traditional methods of inquiry such as provenance, connoisseurship, and iconography. In an archive, photographs of works of art from various sources are rehoused, reorganized, remounted, cataloged, and made findable by artist, medium, title, or other information about the art. In addition, the photographs may be digitized and made available only through a computer. Information about the photographer, date of the photograph, how the photograph entered its original collection, and so on, may not be captured. All these practices are subjective and change over time. Costanza Caraffa, organizer of the Photo Archives conference series, refers to an archive as an “ecosystem” that shapes interactions within it. What does this mean? Tracey Schuster: Within the context of photo archives, “ecosystem” refers to the active and complex internal systems that are imposed on the archives and their contents. These systems—photo mounts, accompanying ephemera, related acquisitions and research files, inventories, card catalogs, databases, etc.—interact with each other and with their surrounding institutional or private environments. For example, they interact with personal and institutional library collections, other special collections content and formats, electronic resources, and so on. It is within these ecosystems that archivists, librarians, and scholars interact. In today’s digital world, how is the role of the photo archive changing? Tracey Schuster: The development of digital technology has provided archives and institutions with the opportunity to expand the accessibility of photographs beyond the walls of their physical homes. Although digital images are not substitutes for the analog originals, institutions are slowly acknowledging that they do provide an entry, an introduction, to the images. That introduction may be all a researcher needs. For others, it will be an indication that further research within the physical archive is required—and of course, we would welcome those visits! 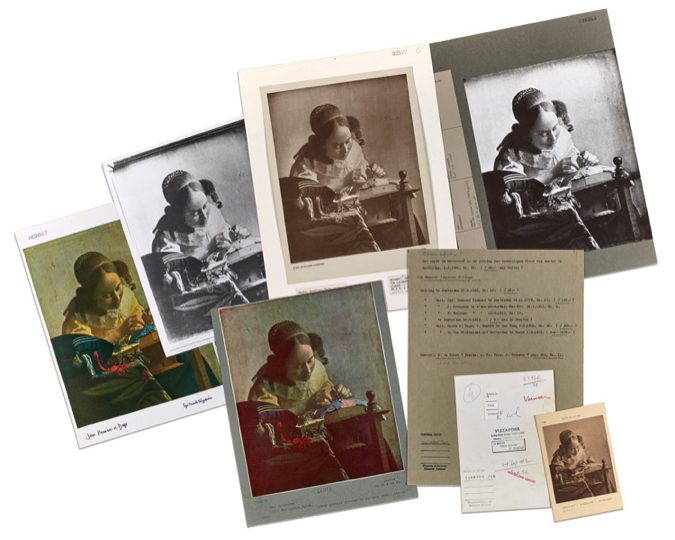 Digitizing photographs has also been the catalyst for some institutions to put their physical collections into deep storage, where they are no longer readily accessible, or to deaccession or even destroy them. This raises urgent questions about the value of the original photographs as artifacts or evidence in their own right. On a much more positive note, digitization also offers the potential to conduct research that could never be done before. For instance, image recognition/matching software is being developed that would allow users to identify particular visual characteristics in a work of art and then search for and retrieve photographs of other artworks that share those characteristics. How do you envision the photo archive — at the Getty Research Institute or the Huntington, for example — looking and behaving 20 years from now? Anne Blecksmith: While the Huntington’s rare photograph collections are in continuous use, the Huntington’s small Photo Study Collection has been in storage for about a decade, along with the institution’s auction catalogs. We hope to see it revived as a research resource for British and American art. In fact, while working with Tracey on this project, I discovered that the Huntington’s Photo Archive was seen as a “partner archive” to the Getty’s collection in those areas. 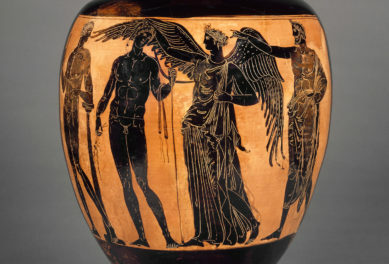 Interestingly, reproductions of artworks (many of which are profusely annotated) were added at some later point to the Huntington’s auction catalogs, building additional layers of meaning into these objects. In other words, there are many avenues of research to be explored in photo archives that might not be receiving much attention. Tracey Schuster: I envision the Getty’s Photo Archive as still being physically accessible and browsable on site, as well as digitized for online access. I would also like to see us implement some of the technical advances in image-matching in order to expose the photographs and the works of art they document to a broader range of scholars and research questions. We have over 2,000,000 photographs within our archive; there’s a lot of room for exciting interdisciplinary research methodologies! Let’s talk about the symposium: how did these three institutions come together? Tracey Schuster: I lead a research project at the Getty Research Institute that asks questions about the status—past, present, and future—of photo archives. Earlier in the project we organized a two-part symposium with Sarah Hamill (Oberlin College), Megan Luke (University of Southern California), and the Clark Art Institute on photography of sculpture and its impact on art history. The presentations and discussions were really productive, and both the Getty and the Clark made video available online. Our research questions also dovetailed nicely with the work of Costanza Caraffa at the Kunsthistorisches Institut who, since 2009, has organized a series of conferences around photo archives and their changing roles. Dr. Caraffa’s work made a valuable contribution to our project and she was happy to join us as a collaborator. The symposium scheduled for the Getty and the Huntington is actually the fifth conference in Dr. Caraffa’s series. Anne co-led the Photo Study Collections Research Project when she was at the Research Institute. When she moved to the Huntington, we saw it as an opportunity for our two institutions to collaborate on the symposium. Anne Blecksmith: Yes, and we’re glad to have received support from the Research and Library Divisions at the Huntington, opening an opportunity for collaboration between the two institutions and hopefully possibilities for new research. What will participants encounter over the two days? Tracey Schuster: We have 11 exciting speakers coming from the United States, Canada, Europe, and the Middle East who will present papers on a variety of themes, including the relationships between photographic reproduction technologies, how archival practices intersect with display practices, how photographs and archives operate differently in analogue and digital domains, and how ideas about the objectivity and neutrality of photographs—and of the archive—still participate in the generation of new knowledge. The focus is on art history but with an interdisciplinary outlook. We’ll also have several moderated conversations that promise to be lively and thought-provoking. What questions do you hope the symposium will answer? Tracey Schuster: I hope we will ask how photography transforms mediums; if photography can be used to create an “ideal facsimile” and if that’s something we should even strive for; how photography as a reproductive medium differed from other documentary media such as painting; how users receive and perceive digital images versus the original photographs; how photographs are used as historical evidence; and how artists and art historians produced, collected, and used photographs of artworks to support their own perceptions of significance. We hope these more focused questions will lead to larger areas of inquiry such as: will digital photography fill the same role as its analog predecessor, and will digital collections be able to replicate the research value of photo archives? Anne Blecksmith: I would also add: In today’s age of user-driven reproduction via sharing platforms, how is an image’s value related to its impact? Importance or impact is often tied to where and how many times an image has been printed, downloaded, and shared. There is also an important affective component, and new technologies have created tools that enable users to manipulate the emotional impact of their photos by way of filters (making photos look older than they are to achieve nostalgic effects, for example). How can we think about the connotations of objectivity that photography continues to carry, in light of its historic, contemporary, and even future usage? One last question. You’ve both worked in photo archives for most of your careers. What drew you to this field? What keeps you engaged in the work? Tracey Schuster: I was an art history major during my undergrad years, and my dream was to work in a museum. I was told by many people that it would never happen with only a bachelor’s degree. I began my career as a volunteer in the Photo Library (now Photo Archive) at the Getty Museum in Malibu back in 1982. I loved working in the Photo Library because I got to work within the Getty Museum, but with photographs that documented works of art and architecture from all over the world. It was like studying for a graduate degree in art history just by coming to work every day! In 1983 I was offered a permanent position at the Getty, and while I did look into various graduate programs, such as museum studies and art history, I enjoyed working in the Photo Library so much that I decided to take a different direction and apply to the Library School at UCLA. I was able to continue working in the Photo Archive while in school and tailored my coursework and projects to learn more about being a photo archivist/visual resources librarian. I graduated with that specialization and although my title and job responsibilities have changed over the years, I’ve always maintained my connection to the Photo Archive and the visual resources profession. The way archivists and scholars think about and use our Photo Archive, and photo archives in general, is always changing, which I find very stimulating. And all of the emerging digital technologies and digital humanities projects are very exciting. Anne Blecksmith: In addition to completing library school like Tracey, I have a graduate degree in art history; my research explored how architects’ published photographs of buildings in Italy, Spain, and Mexico shaped built environments in California. Once I finished my degree, I worked in the Visual Resources Collection at UC Irvine, and then I joined Tracey as a reference librarian at the Getty Research Institute, facilitating researcher access to the Photo Archive and rare photograph collections. 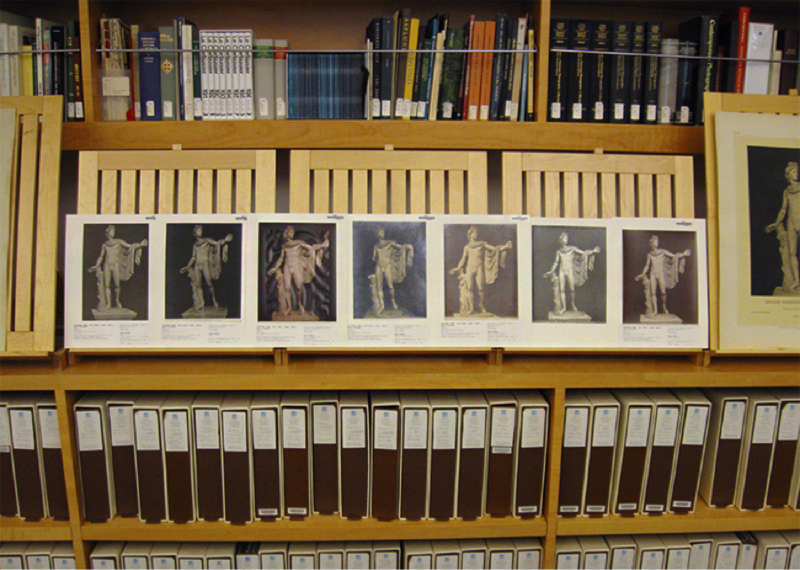 Later I was the head of digital services at the Getty Research Institute, a new section that was formed to support both classic imaging as well as digitization for the library. In 2014 I moved to the Huntington, where I currently work as the reader services librarian. Encouraging researcher access keeps collections alive and relevant—that’s what motivates me. 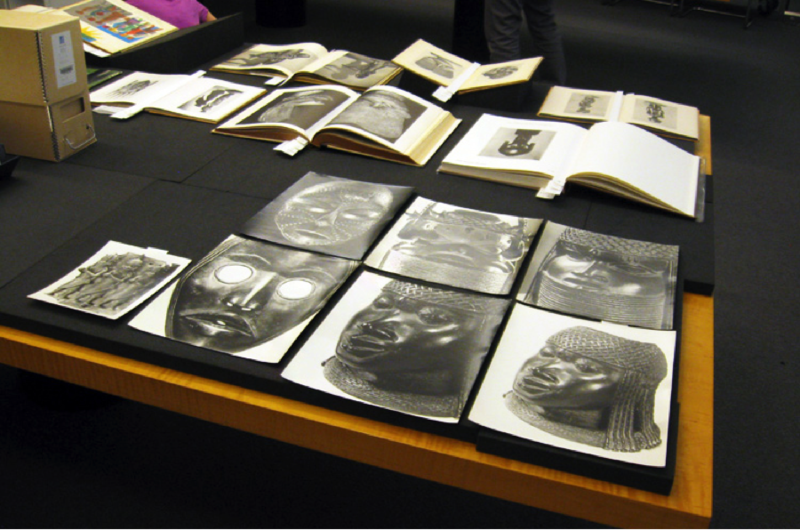 The two-day symposium Photo Archives V: The Paradigm of Objectivity takes place at the Getty Center on February 25 and at The Huntington Library on February 26, 2016. Admission is free; register here. I’m an art historian, writer, and the head of research projects and programs at the Getty Research Institute. Interesting post. I’m curious, are volunteer positions available within the Photo Archive department at the Getty for students interested in this field? Thank you for your comment and your interest. 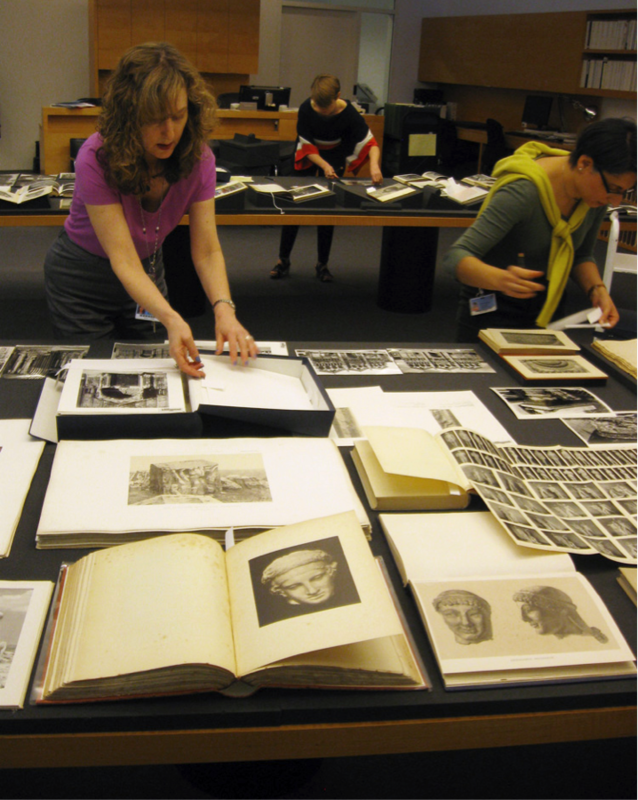 We would be happy to talk to you about volunteer opportunities at the Getty Research Institute. Please send an email to the Reference Desk at Reference@getty.edu.